As I stare at the tiple and examine closely all of its details, its smooth wooden contour, a perfectly carved neck, the firm placement of its metal frets...I can’t believe I made it. The instrument has been with me a little over a month and whenever I strum those strings, I still find myself astounded by its sonority–especially now that I know what goes into making one. My first contact with this obscure little instrument happened in 2002 when I was a cuatro instructor at the Fundación Francisco López Cruz. Back then, the tiple had began to find its way back into music circles via the Movimiento Pro Rescate del Tiple. The group, started in 1989, comprised researchers, musicians and instrument makers committed to the rescue, study and revival of the instrument. Their research work revealed the variety of regional tiples found in Puerto Rico, all different in size, tuning and number of strings, as well as its sad story of erasure from our culture. The tiple is the oldest and smallest member of the family of Puerto Rican stringed instruments. It is derived from the Spanish guitarrillos that arrived in Puerto Rico during colonial times and earned its name for the high-pitched sound it produces. The instrument is descended from the tiples brought to Puerto Rico from the Canary Islands (their tiples, later called timples, were themselves derived from the Spanish guitarrillos). The tiple's role in a jíbaro orchestra resembles that of a soprano in a choir, often carrying melodic lines and naturally lending volume and dominance to the ensemble. Until the end of the 19th century, the tiple was “the people’s favorite musical instrument” (Reyes Zamora, 2002, 19). During the twentieth century, as the cuatro gained widespread popularity, its presence gradually faded from the orquesta jíbara. The efforts of the tiple movement resonated with me, and after a decade of tiple fever, my fascination for the instrument was reaffirmed in Northampton, Massachusetts, of all places. 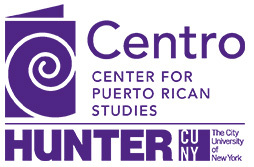 When I moved to the United States to pursue graduate studies I began following the Puerto Rican Cuatro Project (El Proyecto del Cuatro). The project is a non-profit organization, based in Northampton and Moca, PR, that studies, documents and promotes the music and musical-craft traditions of the Puerto Rican family of lutes, including the cuatro, the bordonúa, the vihuela, and yes, the tiple. It has contributed significantly to the instrument’s promotion and preservation, particularly among Puerto Rican communities in the U.S. Since 2006, El Proyecto del Cuatro, in collaboration with the San Lucas United Church of Christ in Chicago and Chicago-based activists and organizers, have held an annual tiple workshop for the Puerto Rican community of Humboldt Park. As a result, dozens of community members have been able to create their own tiples. Here is a video of the mood and spirit that permeates a tiple workshop in Chicago. On the second week of December 2015, I had the opportunity to attend the fifteenth edition of a tiple workshop led by one of the Cuatro Project's founder, William Cumpiano. This one took place in his workshop in Northampton. So far Cumpiano has conducted 10 workshops in Chicago, 1 in Trinity College and 4 at his Northampton workshop. Over the course of the years, the teacher has developed an efficient method that immerses the student in the art of instrument making. From the moment I opened the door of the western Massachussets Cumpiano-Becker workshop, a staple among local musicians, and the place to go for guitar and cuatro repairs or to buy a custom guitar, the experience was magical. Under Cumpiano's magnificent guidance and immeasurable patience, this tiple came to be. During six consecutive days, Cumpiano stopped operations at his workshop and opened it for three students, all inexperienced in the art of instrument craftsmanship, but who were eager to learn how to make a Puerto Rican tiple. It is simply admirable that an accomplished instrument maker like him deliberately embarks on the mission of making an instrument with three beginners. This luthier’s labor of love just talks about his commitment to Puerto Rican folk music and his passion for teaching and sharing with others his knowledge and experience. After a week's worth of hard work and dedication, we completed our tiples. Although we used sophisticated woodworking tools like a band saw, oscillating sander and drills, we spent most of the time using our hands to refine the most important details, from carving and contouring the instrument’s body with a chisel to sanding its surface with sandpapers of different grit sizes. Moreover, despite technology providing us with advanced tools that facilitate the construction process, the maña of the instrument maker can not be taken for granted. More than creating a musical instrument, this workshop instilled in me both self-confidence and a sensibility for recognizing the power of music in the making of self and community. I returned to New York with a finished tiple and a deep admiration for the art of instrument making. More importantly, I came back with the lasting impression that in the small things, like in the making of tiples, Puerto Ricans in the U.S. continue to display their passion for our arts and culture. *Friends in Chicago don’t miss the opportunity of learning to make a tiple in the summer of 2016. Cumpiano has devised and perfected the teaching method that allows anyone to make a tiple from scratch, and I was there to give it a try. His method succeeded with a student like me, unskilled and inexperienced with woodworking tools, standing in front of a band saw for the first time in my life, learning simultaneously the mechanics of the tools and applying them into the crafting of a real instrument. DAY 1: Working on the instrument’s shell and back. From tracing with pencil the tiple’s shape onto the plank of poplar wood to removing the center material of the plank and gluing the instrument’s back. William Cumpiano assists Bert Fernández as he uses the band saw to remove material and shape the plank. DAY 4: Details of the soundhole, the rosette and heel cap. The combination of the teacher’s patience, the cordiality and support of my tiple classmates– also apprentices in the art of instrument making–José Bou and Bert Fernández, and the scent of freshly chopped wood revolving around me gave me the confidence to work fearlessly with the tools, knowing that my reward was going to be the pleasure of taking home my own handmade tiple. © Noraliz Ruiz. Published in Centro Voices on January 22, 2016.